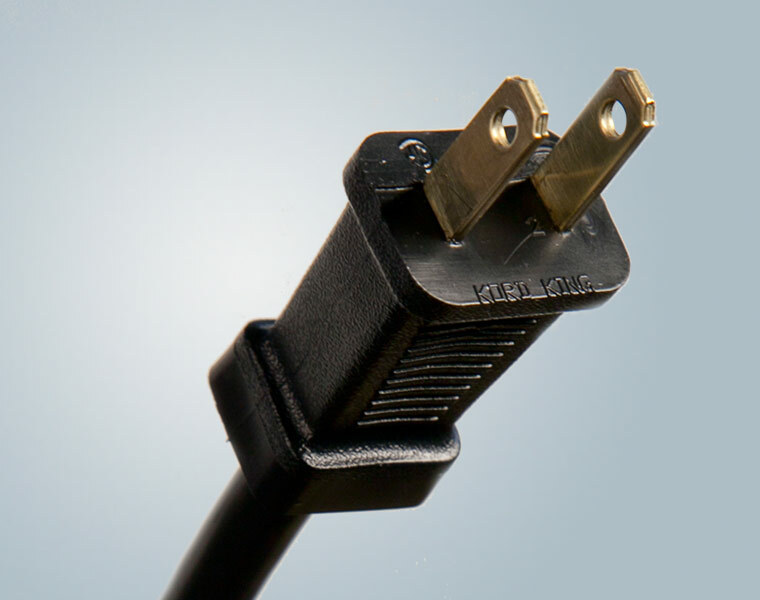 NEMA 1-15P power cords and cordsets (Standard 2-Conductor) are most often found on cords for Class II consumer electronics. 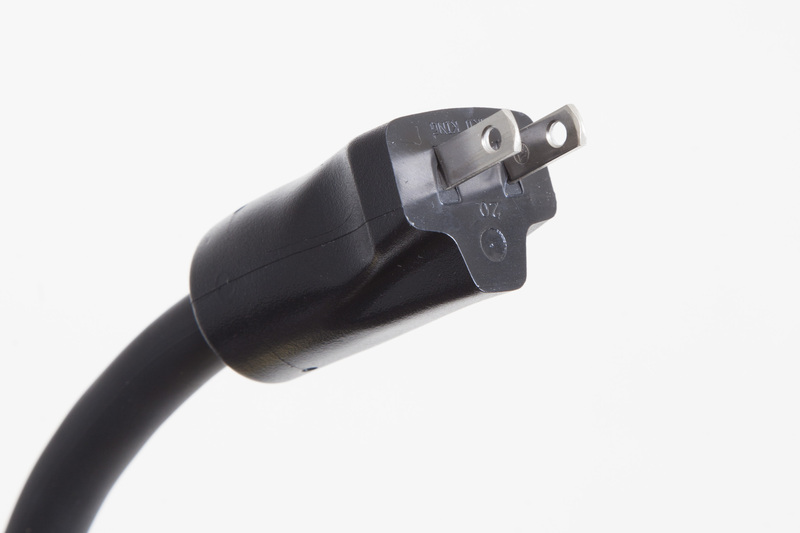 The 1-15P configuration does not feature a ground pin, but is upwards compatible with NEMA 5-15R receptacles which are typical in the construction of modern buildings in the United States. They are a low cost option for 10, 13 and 15 Amp devices with a maximum of 120V and can be molded in a variety of colors to meet customer specifications. 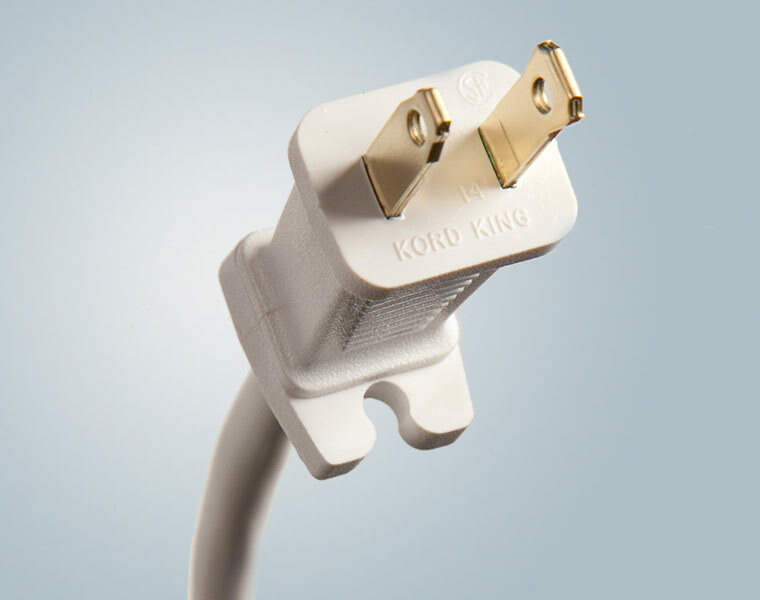 Kord King also offers the NEMA 1-15P in a polarized configuration and a cord grip style plug. 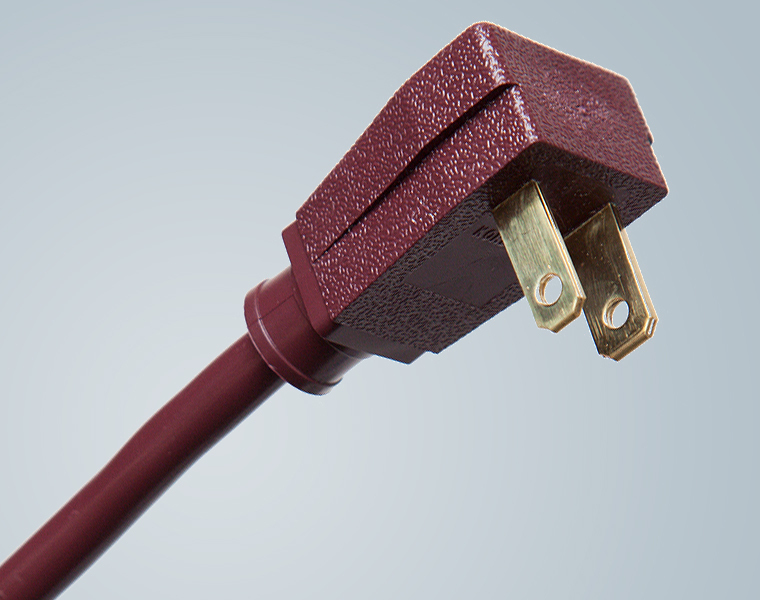 The cord grip is molded along with the plug itself, and this single piece design is robust to ensure longevity. The polarized 1-15P plug has one wide and one narrow blade, for when the interchanging of energized and neutral lines must be prevented. 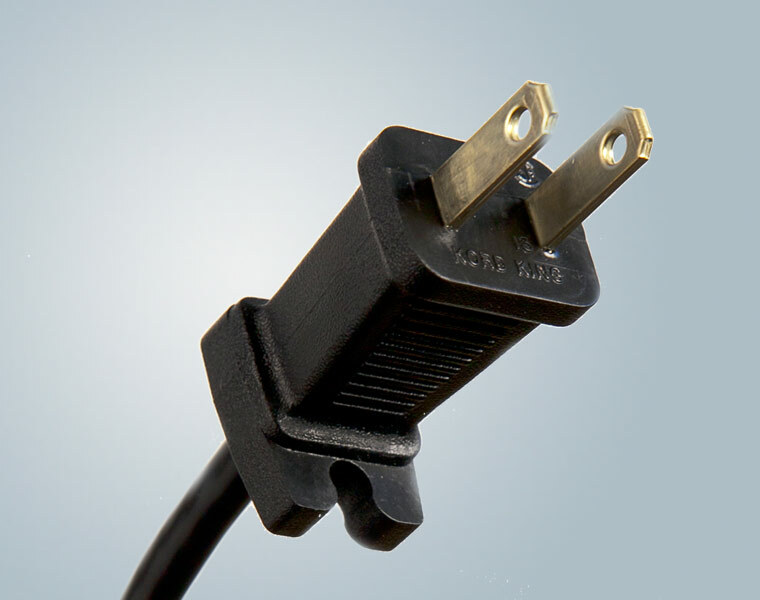 NEMA 1-15P power cords (Standard 2-Conductor) are manufactured by Kord King, in the United States, with short lead times and reasonable minimum order quantities. The opposite end can be terminated, blunt cut, stripped or customized in order to work best for your application. Kord King NEMA 1-15P plugs are U.L. listed and C.S.A. 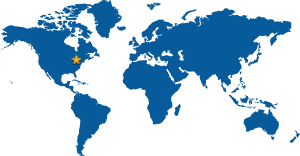 approved, and they conform to critical environmental compliance standards such as RoHS. 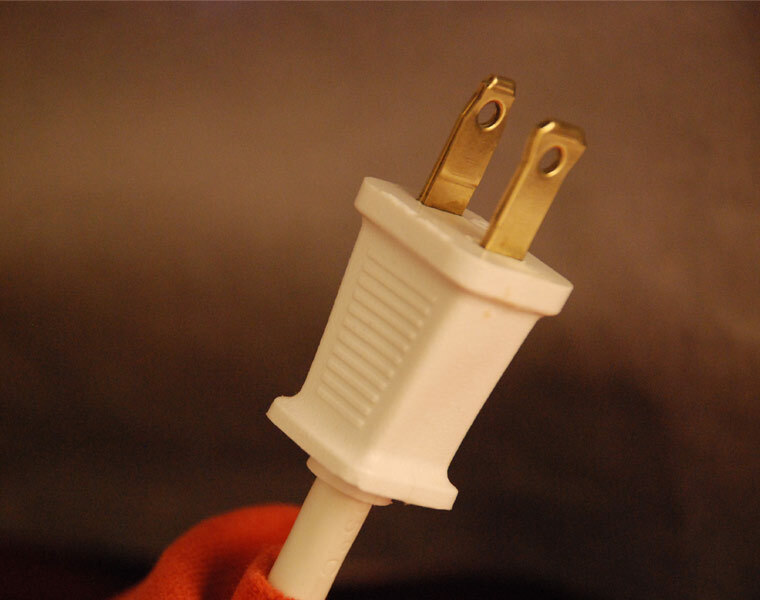 Click here for a complete list of our NEMA Power Cords.